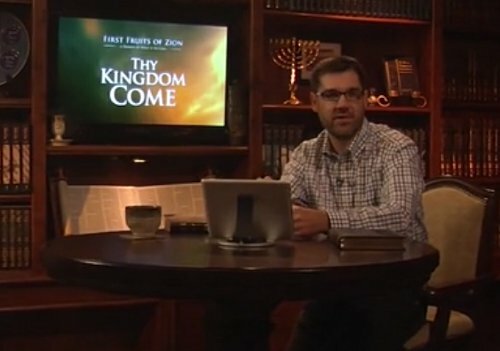 How does Yeshua and the message of Messiah stack up against the patriarchs and the prophets? The thesis statement behind the book of Hebrews with reference to Yalkut Shimoni and Midrash Tanchuma on Isaiah 52:13. After my significant goof up in my review of last week’s session, I’m a little hesitant to write another review, but hopefully, I’ll be more mindful of my notes if not my memory. Today’s the day. It’s the day Lancaster actually starts delving into the book of Hebrews, well the first couple of verses in the first chapter, anyway. However, there’s a lot to cover in this thirty-five minute sermon. Let’s get going. The first thing a traditional Christian Bible student should know is that Lancaster thinks the Book of Hebrews reads like Midrash Rabbah, other Talmudic portions, and even the Zohar. That’s because the sermon/letter seems so Jewish. That isn’t going to make a lot of Christians happy because they (we) have been taught some pretty negative things about Talmud and especially about Zohar (most Christians have probably heard of the Talmud but how many teachers and Pastors even breathe the word “Zohar”?). Lancaster says he feels pretty comfortable with Talmudic literature, at least in English, but he rather feels sorry for the innocent and unsuspecting Christian Bible student who stumbles into Hebrews without that background. The implication is that without familiarity with Rabbinic commentary, most Christians are going to come away from Hebrews with an inaccurate interpretation of what the anonymous author was trying to say. Lancaster says the experience of an uninitiated Christian facing Talmudic writings encounters the intellectual and perhaps spiritual equivalent of stepping on a rake. I assume he means the “business end” of the rake and not the handle. We also see prophetic words from God in the writings such as the Psalms and Proverbs, so God spoke to all of the writers of all of the books of what Christians refer to as the “Old Testament” and what Jews call the Tanakh (Torah or Law, Nevu’im or Prophets, and Ketuvim or Writings). We call all of this put together the “Old Testament,” but for Jews in the Apostolic Era, it was just The Testament or The Scriptures. God spoke through the other prophets in many and different ways but only with Moses did God speak “face-to-face” (lit. mouth-to-mouth). The message of the prophets was to all of Israel and ultimately, to all the world. However in the last days, God spoke through His Son. What last days? While the apostles and early disciples may have thought they were living in the last days, they must have been wrong, because almost two-thousand years have passed and the “days” haven’t ended yet. But were they wrong? They were living in the last days of the Apostolic Era. They were living in the last days of the Holy Temple. They were living in the last days of Jerusalem, the last days before the Jewish people would be exiled from their Land to wander the diaspora for nearly twenty desperate centuries. The First Fruits of Zion (FFOZ) television show A Promise of What is to Come produced a number of episodes describing how the coming of the Messianic Kingdom was upon us and that time wasn’t the relevant factor in summoning the Kingdom. Episodes such as Seek First the Kingdom, Thy Kingdom Come, and Keys to the Kingdom all speak of this. Lancaster characterized the imminent coming of the Kingdom as a clock that is stuck at one minute to midnight, sort of how the Doomsday Clock is used to show the imminence of Nuclear War. The men and women of the Apostolic Era were living in the “end times” no more or less than we. The stage has been set, the actors have taken their places, now all that is left is for the curtain to go up, the house lights to go down, and for the play to begin. However, the audience and the actors haven’t been told exactly when the curtain will rise and to a large degree it is they who will determine the moment, not the director. Truly I say to you, this generation will not pass away until all things take place. But this interpretation makes me consider that “this generation” isn’t meant to be taken literally. …in these last days has spoken to us in His Son. This speaks more than I could have possibly known before hearing this sermon. Lancaster invoked my English 101 class which I took the first time I attended university. In an English Composition class, you’re taught to begin a paper with a thesis statement, a declaration of the topic and purpose of the paper, then you spend the rest of the time writing documentation supporting your thesis. 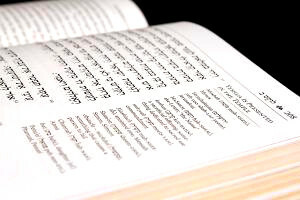 Lancaster took a moment to explain that the New Testament is NOT just commentary on the Torah, which may come as a surprise to some Messianic Jewish and Hebrew Roots people who have been taught to focus on the Torah and almost nothing else. The thesis of the writer of Hebrews is that in ancient days, God spoke through and to the Prophets of old and what they spoke and wrote was and is the Word of God. But in the End Times, God spoke through his Son, Moshiach, and what Moshiach spoke is recorded in the Gospels. We take all this for granted as Christians in the twenty-first century. After all, we have our Bibles, they include the Old Testament and the New Testament, and the New Testament includes the Gospels, so of course what Jesus said was and is the Word of God, but that was a revolutionary concept in the early 60s CE. The Jewish believers as well as all other Jewish people understood that the Hebrew Scriptures were the Word of God, but could Jesus of Nazareth also speak God’s Word (not to mention his apostles, but we won’t address that today)? Was/is Jesus greater than the Prophets? The answer is of course, “yes,” but what did the original readers of Hebrews believe? Was Jesus greater and better than angels (see Hebrews 1:4)? The writer of Hebrews had to establish this as his thesis and then spend the rest of the sermon/letter defending and supporting that thesis. This is the beginning of the Song of the Exalted Servant. Traditional, normative Judaism considers the Exalted or Suffering Servant to be the people and nation of Israel, while Christians believe it is Messiah, it’s Jesus. Lancaster began to establish that the Servant must be Messiah based on a variety of Jewish sources, such as Targum Jonathan and too many others for me to write down and thus record here. He mentioned again that the Zohar is one of those sources, but it should be noted that most if not all of the supportive Jewish writings were authored well after the Apostolic Era. Lancaster wants to show his audience that his interpretation is correct but that it must be understood and supported by Jewish sources. The question, and it’s an important one, is if the audience of the sermon/letter to the Hebrews would have understood this document through the Jewish documentation and commentary they had access to in or around the year 62 CE. The most reliable estimates regarding the Zohar say it was written in about the 12th century and the Talmud wasn’t authored for centuries after the apostles died. We can accept some of Lancaster’s argument if we believe the information later recorded in Rabbinic writings already existed, probably in oral form, during Apostolic days. But for many Christians, that’s quite a leap. What Lancaster is trying to establish is that the writer of Hebrews was declaring, and again, this would be controversial and even revolutionary in the mid-first century, that Yeshua of Nazareth was not only equal to the Prophets and Judges and even Angels, but that he was superior to them all as Messiah and as the Son of God. The audience of Hebrews was to understand that the words of Jesus were indeed also the Word of God, which Christians accept today without question but the original readers of Hebrews still needed to comprehend. Jesus is worthy. He sits at the right hand of the Father. He is the radiance of God’s glory, an exact representation of God’s nature. Messiah upholds all things by his word, which is the Word of God because Messiah is greater, more glorious, more worthy than any of the prophets, including Moses and even more so than the Angels. Now here’s the important part for today. Read the entire first chapter of Hebrews and then read the first verse of the second chapter. What were the readers of this sermon/letter (and what are we) supposed to pay much closer attention to?” The Word of God as spoken by Messiah. Why? So they wouldn’t drift away. Remember, that according to previous sermons, the writer of the Book of Hebrews was deeply concerned that his audience, because they were denied access to the Temple in Jerusalem, were tempted to “drift away” from their faith in Messiah, all for love of and devotion to Temple worship. Christians believe that Hebrews was a warning to Jews not to abandon Jesus and “backslide” into Jewish practices including the Temple sacrifices, but according to Lancaster, it was a warning to not forget priorities. Lancaster used a number of metaphors to get his point across but I’ll choose just one. How many couples do you know have gotten a divorce? Maybe you are divorced. Maybe you have friends who are, or maybe your parents are. Sometimes, when describing the process that lead up to divorcing, men and women will say that they drifted away from each other over time. This rather contradicts a sudden trauma such as being abruptly denied access to Temple worship and suggests a gradual cooling of faith. Faith and devotion to the Master are there, but for a variety of reasons, they can begin to become less important over weeks, months, and even years. 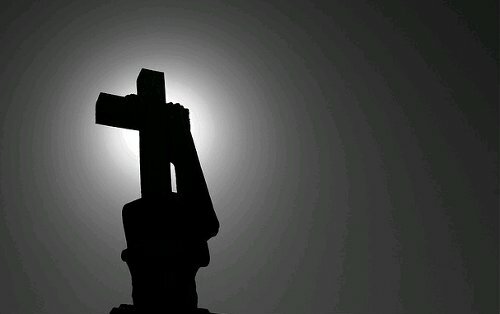 Christians are taught in Church that only one thing matters: Jesus. It’s pretty easy to lock onto Jesus and not let go because he is all anyone ever talks about. But the Messianic Jewish and Hebrew Roots movement are sometimes so devoted to Torah, to Talmud, to Shabbat, to a thousand other things, that Jesus gets lost in the shuffle. I think that’s why some Gentile Messianic believers convert to normative Judaism, usually Orthodox, because the things of Judaism become more attractive and they slowly drift away from Yeshua. Hebrew Roots people accuse Messianic Jewish adherents of promoting this kind of apostasy all the time, but here we have D. Thomas Lancaster, no small voice in the realm of Messianic Jewish teachings and writings, offering the same cautionary tale based on the warning of whoever wrote the Book of Hebrews. I’ve been bending my brain around what Lancaster has been teaching and filtering it through some of the comments of people who have been reading my reviews. Could the Book of Hebrews been written after the Temple’s destruction and the writer was trying to encourage his Jewish readers that the quintessential Temple continued to exist in Heaven with Messiah as its Kohen Gadol? Regardless of differences in interpretation, the main point of Lancaster’s sermon was what hit home the most, especially in the face of recent failures and my continued struggle with the rigidity of certain Christians and their commentaries. We must…I must pay attention to what I have heard so that I do not drift way from it, for if the Word spoken by angels at Sinai to Moses, the Torah, proved unalterable, how can I escape if I neglect so great a salvation as the Word uttered by the Master? Previous PostOnce Again Foolishly Rushing InNext PostDoes the Church Interpret the Bible Based on Traditions? @ James it’s a ‘how much more’ thing. ‘How much more’ is it to neglect what Yeshua said. It’s light to heavy, heavy to light or the weightier matter. What’s interesting is though although ‘how much more’ is it to neglect the Word of Messiah doesn’t negate the less weighty things. I can’t wait to see where you take this thought from here. Having emphasized a need to “pay attention” so as not to “drift away” from the word or message presented by the Master Teacher Rav Yeshua, you will undoubtedly need to describe precisely what was that message which he presented, and what the writer of Hebrews meant when calling it a “salvation”. Perhaps Lancaster has already taken up that challenge in subsequent installments of his ongoing sermon review. It should be quite interesting to examine how the writer of Hebrews developed his representation of what should be held onto as compared with Rav Yeshua’s own recorded statements or subsequent descriptions produced by Yohanan or Rav Shaul, and as compared with midrashic or apocryphal (proto-kabbalistic) views of heavenly reaities. I’m sure Lancaster has taken up that challenge PL, since there are nearly forty installments in this sermon series and this one is only number four. Great review. 🙂 I really appreciated the story of the little boy who was drifting on the Dead Sea. It is true that many have drifted away over time, whether they be Christians or Messianics – there’s always been something that can draw us away. Somewhere Mr Lancaster makes the point that it’s not the Torah that has drawn the most people away from Yeshua, it is the things of the world that have done so. Lesson 7 is where he spends the whole sermon addressing that Yeshua as Son of G-d is higher than the angels, and that the Torah was given by angels and where that thought comes from. Yes, since this series is taken is such small chunks there is much to discuss and plenty of time to get there and mull it over. It’s true that I can’t include everything Lancaster says in my reviews. If I did, they’d be terribly long and then there’d be no need for people to listen to his sermons. Just finished listening to Sermon Five and Lancaster’s introduction to Christology using Jewish mysticism and wisdom language. Most Christians will flip out listening to his interpretations but in my opinion, there’s no other way to even begin to understand the Divinity of the Master. The whole “man-God” thing really doesn’t do it. So much is mystical, so much of the Bible is downright mystical, and yet somehow we’ve been taught to fear mysticism. I agree, there’s no other way to begin to understand these things. My yesterday’s comment (sorry…). I think we all should read Romans 14 very carefully, and hope that those words get into our heart fast enough. My point was more around verses 12-23 Even when Paul is talking about food, I’m talking about “putting a stumbling block or a cause to fall” in a more general sense. Thanks, Tracy. Both the Lancaster audio sermons and the FFOZ TV program are well worth the time required to review and discuss. Paul is clear in his message: Act in love to your neighbor, since the Olam HaBa is nearer than when we first came to believe in salvation coming from the Mashiach. So when we read Romans 14:1 “Now as for a person whose trust is weak, welcome him but not to get into arguments over opinions.”, Paul is writing about Emunah. Having the trust in G-d that the final redemption is to be received by the hand of Yeshua’s when the Kingdom of Heavens arrives, which is to be very soon. So it’s all about the Good News of the Kingdom, and us trusting G-d that such Good News are for real! One important part about the weak and the strong issue is that Paul is talking about opinions. Opinions on what? Well, opinions on how to behave in daily matters such as eating, considering holy days, etc. To make myself clear, I have to point out that Paul, being a Jewish man, was very evident in his mind what he meant when talking and writing about “food”. In other words, he is not writing about pork or seafood (unclean animals), as neither Yeshua, the apostles, the sages or as a matter of fact, any Jewish person would do. And here we get to the specific matter I was trying to point out in my brief comment on “all of us being called to read Romans 14 very carefully”: Are we the strong? or are we the weak? If you have a share, portion, guarantee, pledge of the Holy Spirit (2 Corinthians 5:1-5), if you are getting the sweetness of Torah deeper and deeper all the time (Psalms 19:7-10, Proverbs 24:13-14), and if you have personally experienced the touch of power from Yeshua in your life in any way, then you have received a supernatural gift, a heavenly gift from G-d that makes your Emunah so strong, that what you don’t see now in this era, the Olam HaZeh, it has become clear to be in the Olam HaBa. Hebrews 11:1 “Trusting is being confident of what we hope for, convinced about things we do not see.” And from there, in Hebrews 11 goes the list of all the great men and women who having experienced the touch of G-d, were strong in Emunah and acted acordingly in all kinds of situations. Between Abraham and Lot, who was the strong? (Genesis 13) Between King David and Shim’i the son of Gera, who was the strong? (2 Samuel 16:5-14) Between Yosef and his brothers, who was the strong? (Genesis 45:3-8) And so on in many many cases. We can see that the strong act humbly in all circumstances. They do not fear, because the promises that they have received from G-d make them strong. So, when interacting to others, the question that we all should have in mind is: Am I the strong here? Can I restrain myself in my behaviour in order to let anyone feel bad? Of course that doesn’t mean that I will act in disobedience of Torah, just because someone is doing it because of lack of knowledge. It means that I will keep what G-d wants from me, and behave the best I can without troubling others faith. This is all a matter of making the best choice in any given situation, keeping in mind, who is the strong one. Shavua Tov, alfredo! — I applaud your summary of the “weak and strong” issue. Shavua Tov to you too, PL. – Thanks. Wow alfredo that was very good. Still haven’t had the opportunity to go over all your points Alfredo, but I’m impressed by what I’ve been able to scan so far. Interestingly enough, Mark Nanos in his book “The Irony of Galatians” also mentions the commandment to love and how the “influencers” were, in Paul’s opinion, failing to observe this mitzvoth in their relationship with the addressees of Paul’s letter. When I get to the point of being able to review the book, I’ll expand on that considerably.